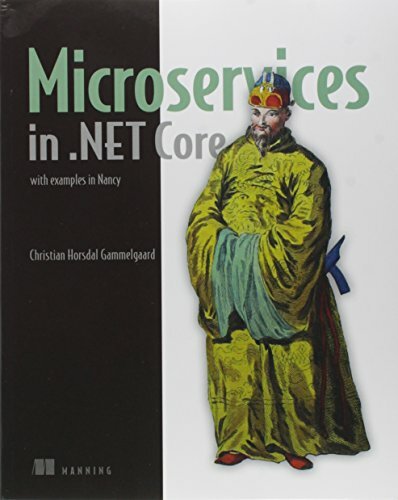 Microservices in .NET Core provides a complete guide to building microservice applications. After a crystal-clear introduction to the microservices architectural style, the book will teach you practical development skills in that style, using OWIN and Nancy. Microservice applications are built by connecting single-capability, autonomous components that communicate via APIs. These systems can be challenging to develop because they demand clearly defined interfaces and reliable infrastructure. Fortunately for .NET developers, OWIN (the Open Web Interface for .NET), and the Nancy web framework help minimize plumbing code and simplify the task of building microservice-based applications. Microservices in .NET Core provides a complete guide to building microservice applications. After a crystal-clear introduction to the microservices architectural style, the book will teach you practical development skills in that style, using OWIN and Nancy. You'll design and build individual services in C# and learn how to compose them into a simple but functional application back end. Along the way, you'll address production and operations concerns like monitoring, logging, and security. This book is written for C# developers. No previous experience with microservices required. Christian Horsdal Gammelgaard is a Nancy committer and a Microsoft MVP. View More In Windows Server.